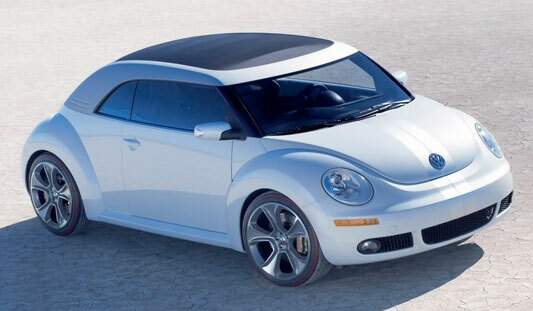 The 2012 Beetle debuted at the New York Auto Show and was instantly recognizable as the new and modern Volkswagen Beetle with huge changes from the first-generation car. At the heart of this controversial new design is the lowered roofline. 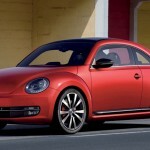 Unlike the 2010 Volkswagen New Beetle, the 2012 Beetle doesn’t have a perfectly arched roofline. 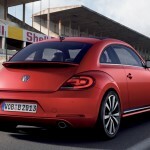 Instead of the straight cut line for the doors on the older New Beetle, the new Beetle’s doors have curved edges. The taillight design eschews the circular units on the outgoing Volkswagen for larger lights that meet the edge of the trunk opening. For the interior, the biggest change – no flower holder. 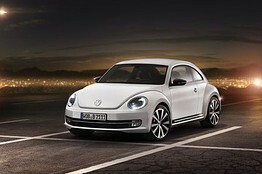 Viewed as refreshing and cool, the new 2012 Beetle will be available in showrooms this fall. The city of Chattanooga in Tennessee is beginning to see signs of an economic turn-around as the employment rate begins to rise, due in part to Volkswagen and its new production plant stationed there. Although the plant has not reached full operational staffing levels, Volkswagen expects the plant to be a driver of the growing numbers. As of March 9th, Volkswagen announced that the company has passed the 1,500 employee mark, representing the three-quarter point in the effort to hire and train 2,000 plus employees who will build the all-new 2012 Passat. Hiring will continue through 2011 as the plant reaches its full production. The production team is made up of 674 people, of which 96 percent are from Hamilton County, Tennessee. There have been a total of 75 new hire orientation classes of common core training, a process which takes place in the cutting edge Volkswagen Academy. In addition to the expansion of the production plant, the suppliers for the vehicles have also had a need to hire additional staff. Volkswagen will be debuting the new 21st Century Beetle live from three cities on MTV on April 18th with the main event in New York featuring the Black Eyed Peas, a band that mirrors Volkswagen’s corporate strategy of both edgy and safe at the same time. The reveal will begin in Shanghai, China with an exclusive MTV Sound System stage event celebrations in Berlin and New York City. With Black Eyed Peas performing in New York, VW has the Belgian due 2manydjs headlining in Berlin. Both events will be available online. For more information on the review go to www.WorldStage.MTV.com. The following is a concept picture found online.